It is along the lanes and alleys that one finds street art. There are murals and graffiti. 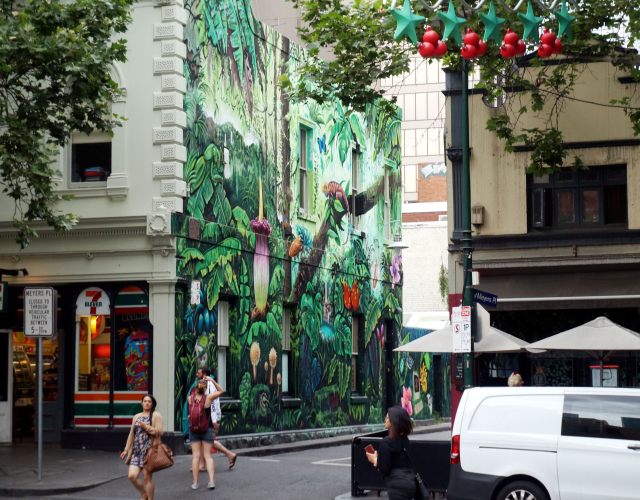 Melbourne is famous for its street art scene and the city is strict about it. Building owners can commission murals – after getting a city license. All spray art is only done after application to and license by the city. No license means jail time if caught.